Lookng For 100% Optometry Practice Financing For Your Practice Transaction? 1st Med Financial is the home of "The 100% Optometry Practice Acquisition Loan". 100% optometry practice financing programs offer competitive, fixed interest rates and can include up to 15% of the transaction amount in working capital. Optometry practice acquisition and commercial real estate combination financing is also available. A 100% optometry practice financing program can also Include monies for equipment, cabinetry, office furniture, supplies, fixtures, construction, renovations, design fee, architecture fee and more! To preserve your cash reserves, there is no down payment required in most cases. 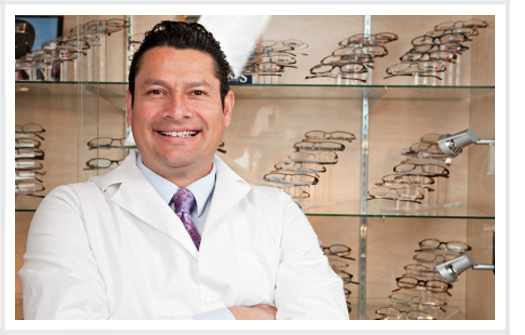 At 1st Med, we have multiple 100% optometry practice financing loan options.. The 100% Optometry Practice Financing Program can be used for Practice Acquisition, Partnership Buy-Ins, Practice Debt Consolidation & Refinance as well as Practice Mergers and Equity loans. Get started and complete our Optometry Practice Loan Quick App Here and one of our experienced practice loan consultants will contact you within 24 hours. Mike Furlong and 1st Med Financial helped us reach our goal. Throughout the process Mike responded quickly to our questions and worked hard as an advocate on our behalf with the bank. While the process was long, and there were issues to overcome along the way, Mike got it done. It was great to know that he was only a phone call away. We're looking forward to moving into our new location soon and enjoying it for years to come."